On January 1, 1863, Abraham Lincoln announced the Emancipation Proclamation, an event that soon became a bold statement of presidential power, a dramatic shift in the rationale for fighting the Civil War, and a promise of future freedom for four million enslaved Americans. But the document marked only a beginning; freedom’s future was anything but certain. Thereafter, the significance of both the Proclamation and of emancipation assumed new and diverse meanings, as African Americans explored freedom and the nation attempted to rebuild itself. Despite the sweeping power of Lincoln’s Proclamation, struggle, rather than freedom, defined emancipation’s broader legacy. 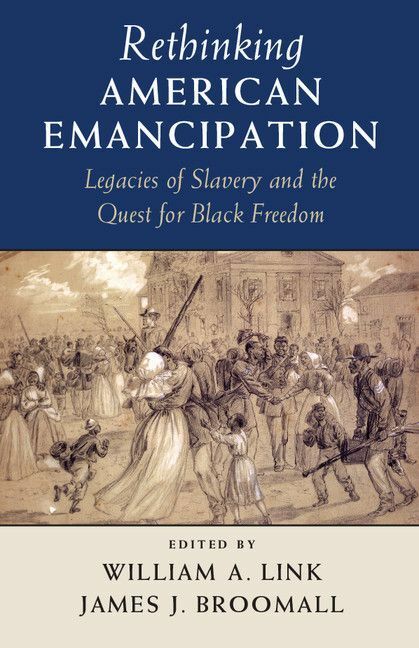 The nine essays in this volume unpack the long history and varied meanings of the emancipation of American slaves. Together, the contributions argue that 1863 did not mark an end point or a mission accomplished in black freedom; rather, it initiated the beginning of an ongoing, contested process.